Hey guess what? I’m still alive! I’m embarrassed by the huge lapse of time that has passed since I last wrote, and the longer it goes, the more embarrassing it is to get back to it. I was dreading this “Hey, remember me?” first post back, and then I got an email from Anne. First of all, can I just say that I love Anne? I think the first time I talked to her was maybe 3 years ago (ish?) and from the first time I talked to her, I loved her. She is such a sweet lady, and her cookies are ADORABLE!! If you haven’t seen her site yet, do yourself a favor and get on over there. We can wait for you to come back. Hi, my name is Anne Yorks and I love decorating cookies. 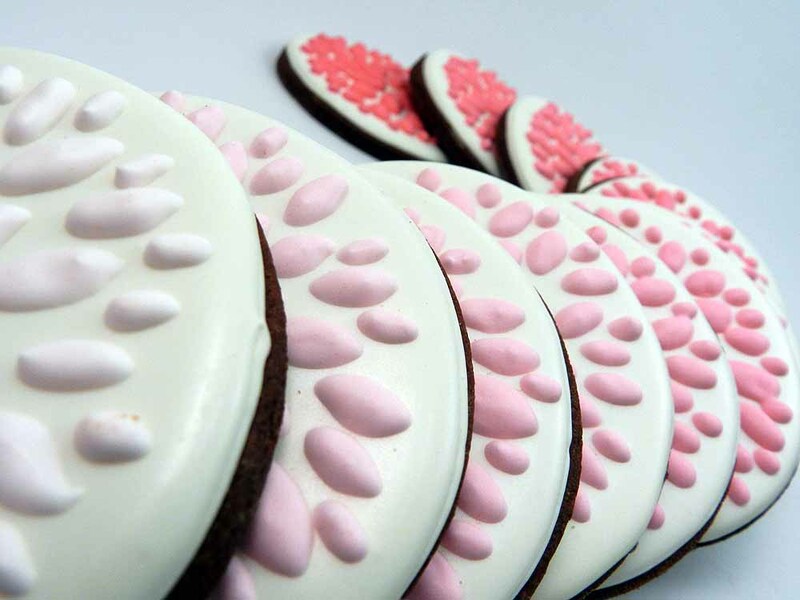 So much so, that I have a little cookie shop online called Flour Box Bakery. 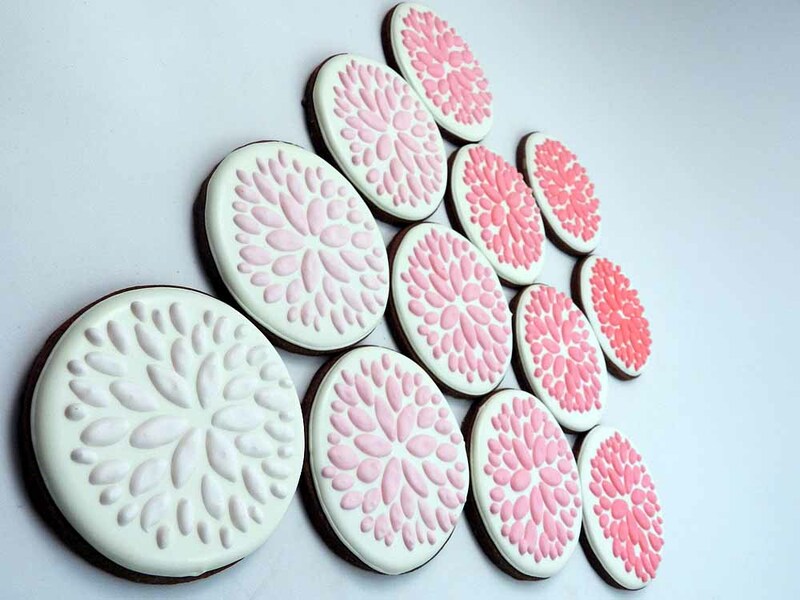 I do cookie stuff every day…and even if I’m not decorating, I’m still thinking about COOKIES! But as much as I love to decorate, I hate to clean up icing bags. AND, I really don’t like mixing all those colors. It’s super time consuming. Thankfully, Karen has a solution to the messy piping bag problem. And, I think I have finally found a solution to making color mixing a little easier. For a long time, I have used Wilton food colors. They are easily accessible and they have a nice selection of color choices. However, I have recently discovered the wonders of AmeriColor gel pastes. I think I will continue to use a few of my favorite Wilton colors, but I am starting to phase my stock to AmeriColor. Here’s why…no toothpicks! Just squeeze and voila! I don’t know that using a toothpick is so unbearable, but squeezing is just so much easier (for me). 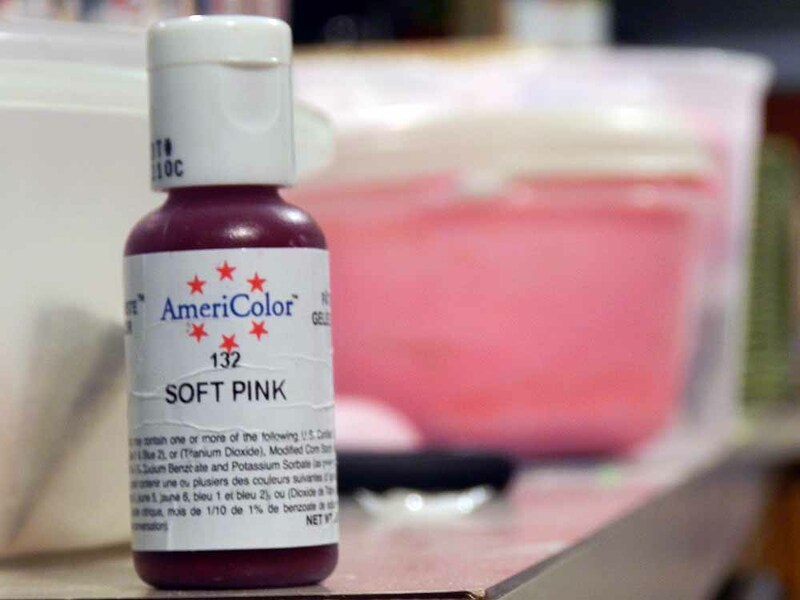 Plus, I like the quality of the AmeriColor gel pastes. Here is my messy counter from mixing colors. 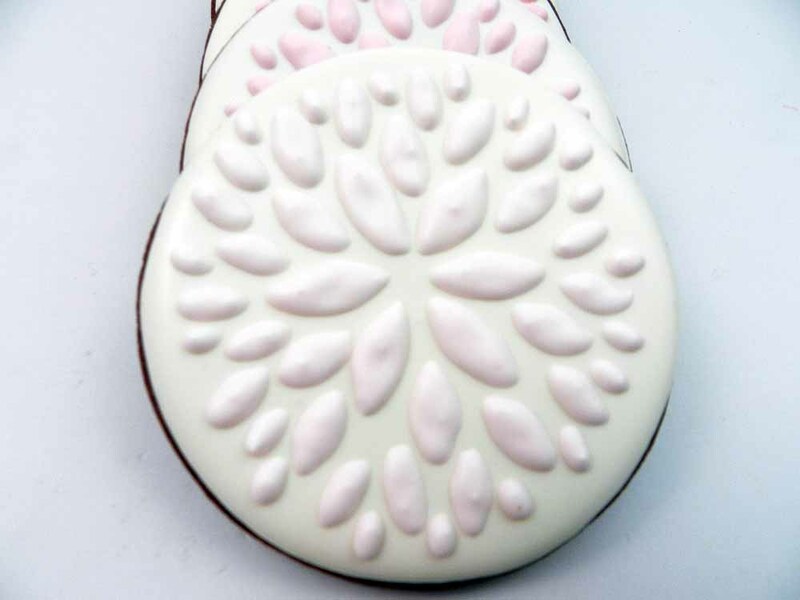 I started with white royal icing (and it was 20-second consistency – an icing consistency I learned from Sugarbelle). I squeezed one little drop of pink food coloring into the white. I then made my first icing bag. Then, I added a second drop of food coloring. I mixed it up and made my second shade of pink icing. After that, I added a third drop of pink. I mixed it. 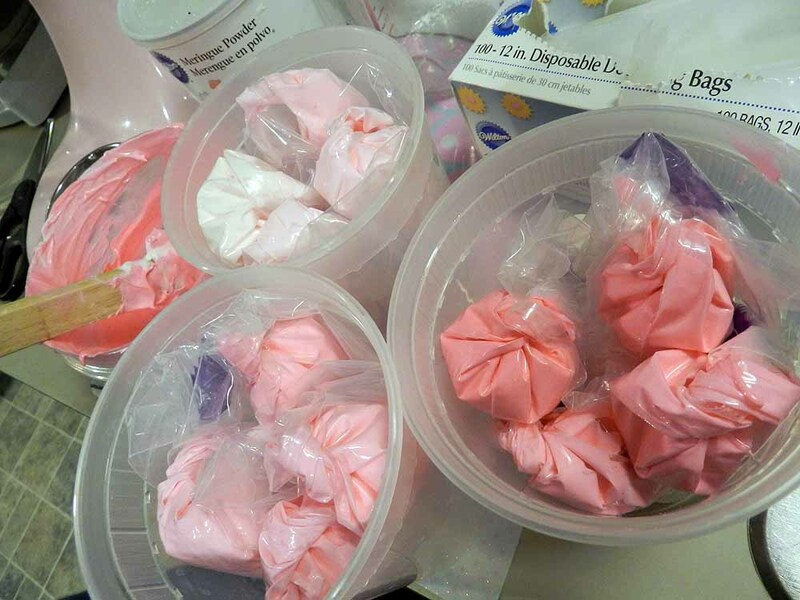 I made my third bag of pink icing. And so on until I had 12 shades of pink. Using the AmeriColor bottle made this process pain free. The first pink was so pale it almost looked white. But by the end…the pink was dramatic. I loved this little experiment and I was so thankful to have my AmeriColor gel paste to help me. I should mention that I wrote this blog post on my own…without any prodding or bribing from Karen or AmeriColor. The opinions expressed here are mine and I think each cookie decorator does things a little differently. This is just my little experiment and my experience. Happy decorating to you and I hope you’ll visit me next time on my blog at Flour Box Bakery online. Thank you again Anne!! 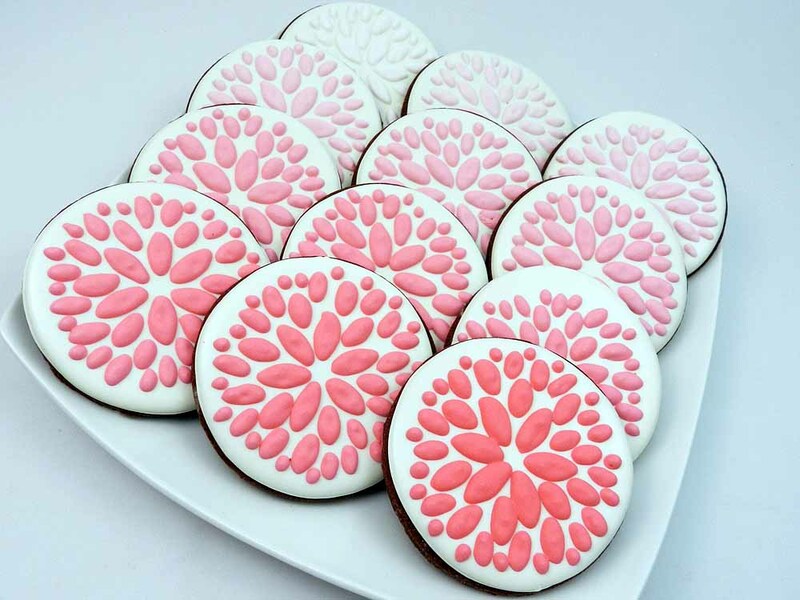 Your cookies are gorgeous! It makes me want to get in the kitchen and get baking. Hmmm…. I just may do that.